In celebration of his life and music I thought it would be nice to revisit this column again. Dave your music will live with us always. For many, Dave Brubeck may only be known for his iconic and landmark album, Time Out--definitely one of the most important jazz albums in history. But there is so much more to Dave Brubeck that you need to hear, see and know. Two new compilations and a documentary by Clint Eastwood chronicle this living legend as he celebrates his 90th birthday. Trust me he doesn't look 90 or even play like he's 90. This former veterinarian student turned jazz legend began penning material as a young college student. A style that is both swinging, upbeat, hard bop and classically proficient has captivated audiences since his first recordings in 1948. His is one of the few jazz musicians to appear on the cover Time magazine (a huge deal back in the day). His "everyman" clean-crisp performing was a major hit among college students and has continued to appeal to masses of all ages today. He is not to be missed if he comes to your town. There are outstanding individual albums that you should pick up if you really want to get a good vibe on Dave Brubeck. But if you are interested in the basics and in today's economy this is the norm, I would highly recommend the two recently released compilations. Together they both cover the significant moments of Dave Brubeck's career. And from the economic standpoint it won't set up back a lot of money either. 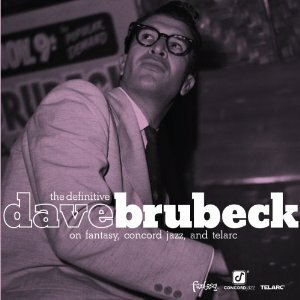 The Definitive Dave Brubeck (Concord Recordings) cover two separate periods ('42 - '53) and ('82 - '04). Yes, there's a big gap there but I'll get to it in a moment. The material on The Definitive Dave Brubeck documents the "artists as a young man", mainly for the Fantasy Records label, now owned by Concord Music. Brubeck is exploring mostly standards in the first two decades but it was the manner in which he and his group performed them that made his group a successful tour outfit. In their hands standards like "This Can't Be Love," "That Old Black Magic," "The Way You Look Tonight" and "All The Things You Are" were transformed into majestic beauty while other jazz musicians were playing it safe or working on deconstructing meters. This isn't to say Brubeck accessible or palatable. He was making this standards technically brilliant in a way that left listeners awe struck. Leap forward a few decades and Brubeck is now the elder statesmen of jazz piano. His recordings during this period span two labels (Concord and Telarc). The last three decades has seen Brubeck composing symphonic material as well as his own material mixed in with delightful standard repertoire (of which now many of his material has become e.g. "Blue Rondo a la Turk" and "Take Five"). This era finds Brubeck in continued fine form if not better. New renditions of material such as "Koto Song," "Forty Days" and "Waltzing" and the albums during this period show a composer and performer with sheer confidence and aggressively pushing his themes forward and challenging his musicians to follow. 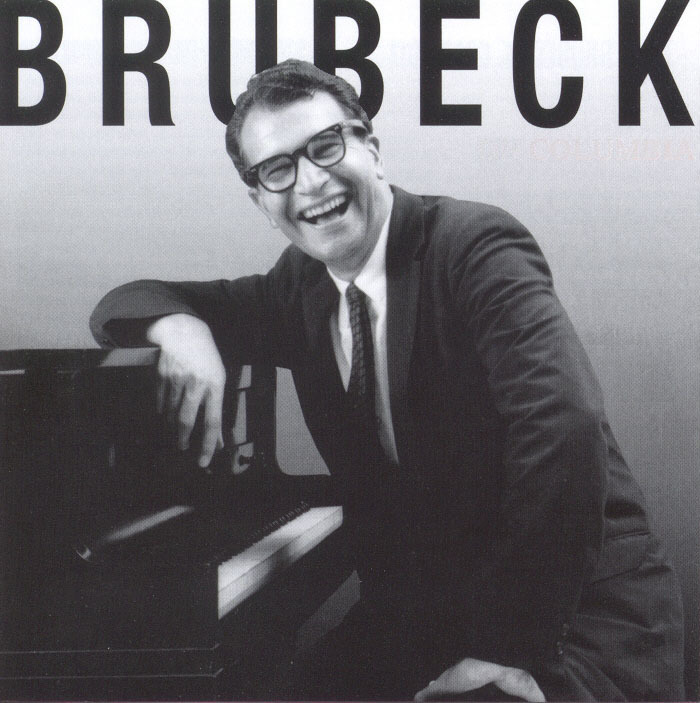 Right now Brubeck is probably at his best. At 90! 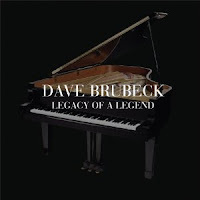 The aptly titled Legacy Of A Legend (Columbia/Legacy Recordings) spans the most well known period of Brubeck career 1954 - 1970. This is the time period Brubeck writing and performances exploded. For jazz fans it is the era of arguably the greatest quartet, Paul Desmond (sax), Eugene Wright (bass) and Joe Morello (drums) that produced the landmark Time Out album. While tracks from that album are highlight on Legacy Of A Legend, it is the other material that I would ask you pay more attention to. "Take A Chance On Love," " "Evenin'" with the legendary vocalist Jimmy Rushing, "Out Of Nowhere" with Gerry Mulligan and countless other tracks in this collection solidify this excellence as a musician and composer. There is also a great live version of "Mr. Broadway" from the legendary concert album Buried Treasures recorded in Mexico during the Classic Quartet's final tour. The tracks on Legacy Of A Legend were personally chosen by Brubeck. It makes for interesting listening to see how the artist perceives his work. But this isn't an experiment is self-indulgence. 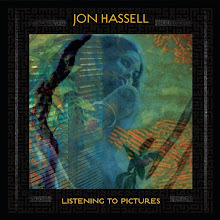 This is moment for you the listener to hear an artist in prime and prolific form. A great overview indeed. The documentary, Dave Brubeck: In His Own Sweet Way airs in the US and possibly the rest of the world starting December 6th, Brubeck's birthday, and should not be missed. Dave Brubeck is the quintessential jazz artists that if you are going to own only a few jazz records--you must own something by Brubeck. While I've said in here and in the past, the individual albums are a must--but if you have to you can't go wrong with both of these collection. They are great primers and offer a huge window into one of the greatest legends of jazz. Happy Birthday Dave!